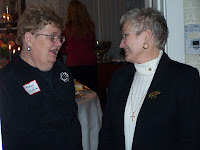 Abigail and Fred Tempel, 1622 Main, Lexington, hosted a dessert and coffee reception and fundraiser for Senator Bill Stouffer (R-21) on Thursday, Nov. 15th. 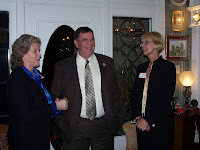 The Lafayette County Republican Central Committee sponsored the event. More than 60 county supporters attended and enjoyed touring the Tempel’s historic home, the only example of shingle-style, late Victorian architecture in Lexington. Senator Stouffer addressed the guests and outlined programs the state legislature and state administration have already completed or have planned for the future. Representing numerous small donations from every community in Lafayette County, the evening event raised more than $10,000 for the senator’s re-election campaign. 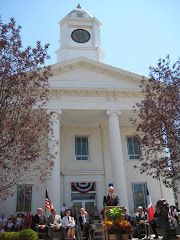 Stouffer has had similar small town receptions throughout his nine-county district that includes Richmond, Norborne, Marshall, Excelsior Springs, Boonville, Fayette, Salisbury, and Macon. Senator Stouffer is currently leading his peers in the Senate in terms of raising funds from within his own senate district, despite its independent lean, according to Kay Hoflander, chairman of the Lafayette County Republican Central Committee. "The senator has worked hard for all citizens, Republican, Democrat, and Independent alike who live in Lafayette County, and this is our way of thanking him publicly by helping his re-election bid," said Hoflander. Stouffer outlined progress made on the state level to help make Missouri a better place to work and live. "When we took office in 2005, the state's budget was upside down, jobs and doctors were fleeing the state, and Medicaid was nearly bankrupt," said Stouffer. He explained, "We did not hurt Medicaid patients as is sometimes reported, we saved Medicaid for them. Also, Missouri is now one of the top states in job gains. Welfare reform has improved the way the state meets medical needs, honors taxpayers, and sustains providers. Missouri has a budget surplus for the first time in years." Stouffer represents nine counties in North Central Missouri and serves as the chairman of the Senate's Transportation Committee. He's a farmer in Saline County, where he resides with his wife, Sue Ellen.